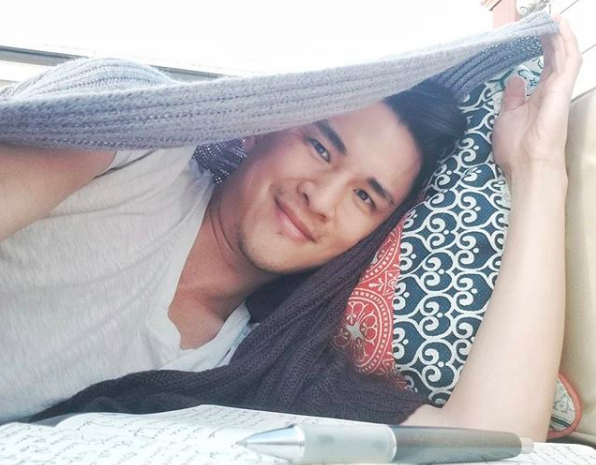 Is Hank Chen the hot, gay, Asian leading man Hollywood’s been waiting for? Meet Hank Chen. He’s an actor, comedian, and total hottie who, at 29, has already racked up an impressive list of credits, including guest roles on Scandal, Criminal Minds, NCIS: Los Angeles, and Law & Order: SVU, just to name a few, as well as appearances on Transparent and Grace & Frankie. Most recently, Chen, who is openly gay, appears in the made-for-TV movie Life-Size 2 starring Tyra Banks. In an interview with New Now Next, he talks about the project and being called “hot” by the movie’s supermodel producer when he was first cast to play the character of Brendan Butler. Chen is the son of Taiwanese immigrants and grew up just outside of Washington, D.C. He tells New Now Next that he hopes Hollywood will continue telling a range of stories that include members of the Asian and LGBTQ communities and that he can be a part of that movement. Chen says he sees things slowly but surely shifting, in large part thanks to successful films like Crazy Rich Asians or Love Simon, that feature diverse casts and stories. Too lazy to go inside and grab a hat or put up the patio umbrella. In a Reddit AMA this week, Chen expanded on this idea when asked about Hollywood using Asian surnames to clearly identify a character’s ethnicity in a script. Life Size 2 premiered on December 2 on FreeForm. Watch the trailer below. Yawn. Graham just googles any actor under 30 and plops down whatever he comes across. There really is nothing more to it. The interview was done on New Now Next… LOL. No searching required. Cut and paste from the exact same queer headlines at the brother site. Going after the writer is fair game but one thing is clear, Hank Chen has worked tirelessly for his opportunities and for lgbt people. I applaud him and I hope he becomes a superstar! I hope Queerty reaches out and does an actual interview with Hank. I’m happy for him (though I personally would have passed on the Tyra Banks gig). Wish you all the best kid. I also like the actor (Nico Santos) who played Oliver in the movie Crazy Rich Asians.